Photo courtesy of Carl Simpson. If it were Braveheart then he would always make freedom for all people. When is rabbit hurting season? That’s no ordinary rabbit! That’s the most foul, cruel, and bad-tempered rodent you ever set eyes on! Rabbits are for girls, dogs are for boys. A: He doesn’t want anyone knowing he’s been screwing the chickens! Is the gift that “the rabbit done died”? 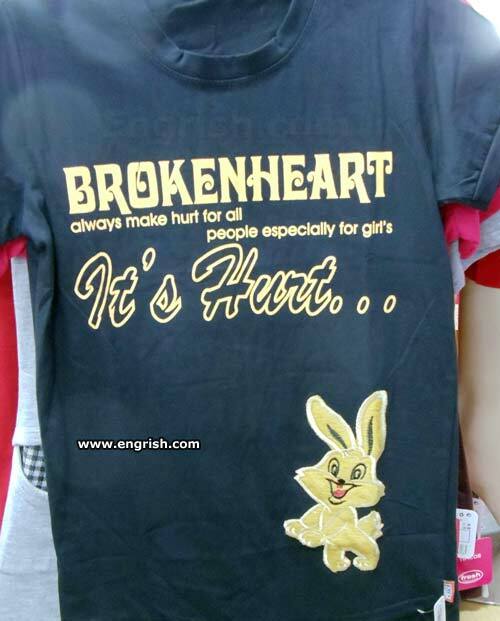 I was scrolling down, and the text of the shirt was funny enough – but the bunny rabbit got me laughing out loud! Brokenheart — isn’t that a movie about William Hurt? don’t you mess around with me! Silly rabbit, broken hearts are for kids! Bet Anita Sharkesian won’t agree with that.